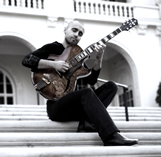 Hristo Vitchev is a modern jazz guitarist and composer from Sofia, Bulgaria. Now residing in the San Francisco Bay Area, Hristo leads his modern impressionistic-jazz quartet which features the Latin Grammy-nominated pianist Weber Iago, drummer extraordinaire Joe De Rose, and virtuoso bassist Dan Robbins. 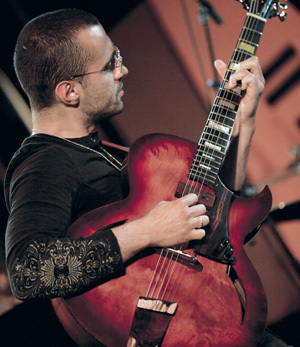 Hristo has toured nationally and internationally with a wide variety of formations and has also performed guitar clinics in Europe and Japan. He has written more than 200 original compositions, many articles on jazz improvisation, and a book on chordal theory and construction entitled Between the Voicings: A New Approach to Chord Building for Guitarists.